A Good Time Was Had By All…. Thought I’d give you some updates and some pictures from the opening of my show. The turnout was small, but I’ve come to expect that. It was a beautiful spring day, with a of other event going on, so I’m happy with support I did get. Plus the show will be up about three more weeks. So, first picture by my friend, and helper to whom I owe a debt of gratitude, Cathy. 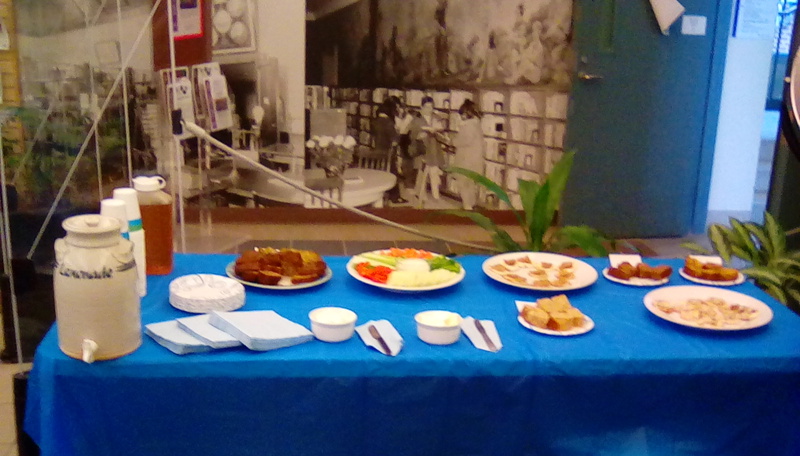 One of the things that Cathy helped with, was setting up the refreshments. We had quite a spread. It also helped with traffic. Some library goers, took the food, but felt obligated to at least look at my show. Nearly had one sale, but my work was the wrong color for the area of the viewer’s home. I don’t really expect much in the way of sales from local shows, getting my name out is the motive. Sometimes, in the future, people who have seen the show contact me for commissions. So, it turned out well.. 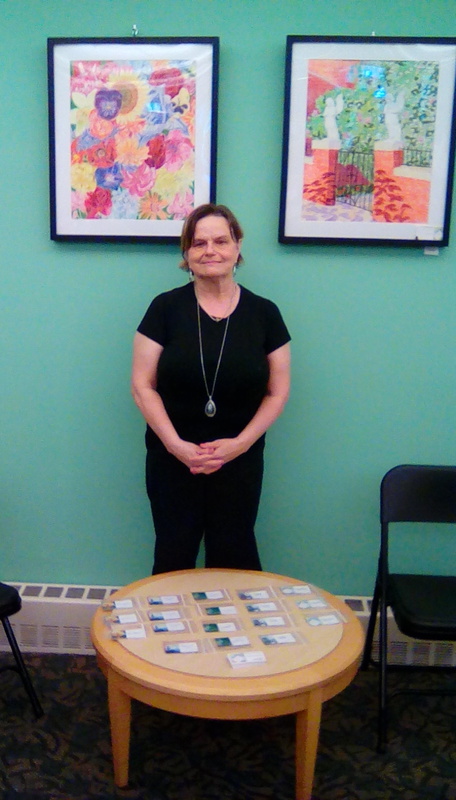 I should mention, the show is a part of the Accessible Arts Program, by the Artisans’ Alliance of Northwest Connecticut.